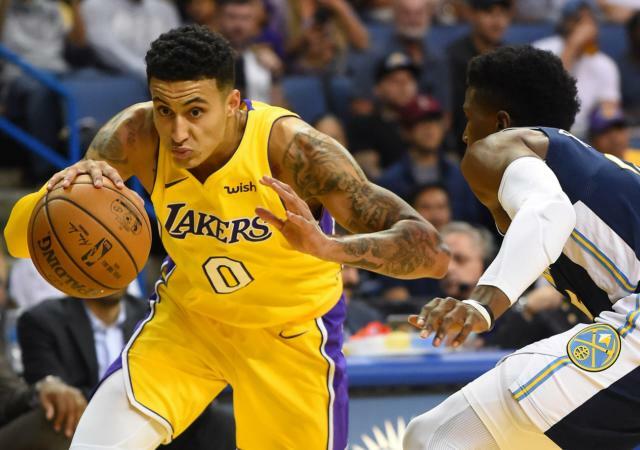 The Los Angeles Lakers dropped their third straight preseason game Wednesday night, falling to the Denver Nuggets 122-104. The Lakers were shorthanded though, as Lonzo Ball, Brandon Ingram, Brook Lopez and Andrew Bogut all missed the game. With so many players out though it gave some young Lakers players an opportunity to play extended minutes and possibly win a spot in head coach Luke Walton’s rotation. 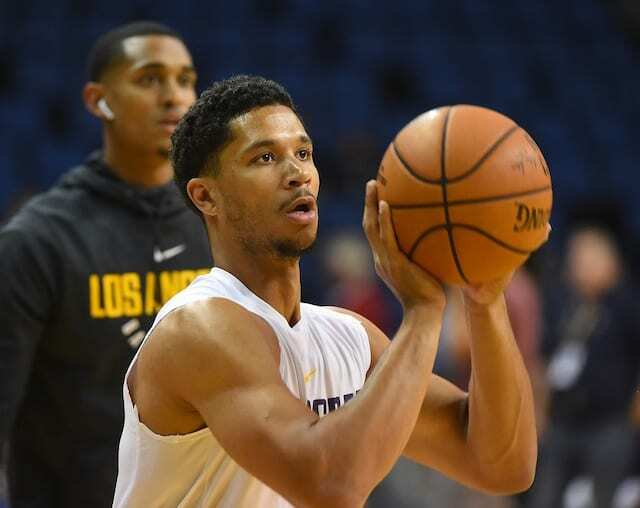 One of those players is rookie Josh Hart, who was drafted with the 30th pick out of Villanova. Hart saw limited action in the Las Vegas Summer League, as he was dealing with an ankle injury. He then began training camp with a hamstring issue, so he did not make his preseason debut until Wednesday night. With how much time Hart has missed it may be difficult for him to earn consistent minutes to begin the season as Lonzo Ball and Kentavious Caldwell-Pope will be the two starting guards and Jordan Clarkson will get a majority of the guard minutes off the bench. That leaves Hart and Tyler Ennis battling for the remaining bench minutes, and Ennis has looked good so far in training camp as Walton has called him the biggest surprise so far. If Hart continues to play defense at a high level though then that could be his easiest path to cracking a spot in the rotation.